Our first event of the year saw us hitting the water just in time for a day’s shakedown and rig tune. There were plenty of mods and upgrades made over the winter that we were eager to see in action, and none more so than the bold move from twin wheels to tiller steering. The race committee put on a series of practice starts in central Solent, just south-east of the Brambles Bank, in a decidedly un-spring-like icy easterly. The rolling starts were welcome, allowing us to iron out a few wrinkles before lining up against the Fast 40+’s in our class in anger. We were a little stick off the line in Race One, and we were behind the leaders at the first top mark, but a decent hoist and set had us clawing some time back on Jubilee and Baraka GP for the first downwind. The short 1.1nm legs in a building tide didn’t leave any room for error, and the driving icy rain didn’t make things any easier. At the end of the third lap, we consolidated a second on the water, which turned in to a third on corrected. Definitely something to build on, but there were positives to take too. Igor’s helming with the new steering set up was getting more consistent with every tack and gybe. With a short wait for the other classes to finish racing, the rain eased and the picture of the central Solent didn’t look quite so bleak. This was short-lived, as by the time we were in sequence it was pretty miserable again. We had a better start in Race Two, starting from the pin end, and working our way up the left-hand side of the beat, searching for less tide. It was a game of snakes and ladders as boats got out of sequence on laps two and three, being forced to tack back into the tide by smaller boats coming downwind. With a few mistakes of our own, we were glad to see we weren’t the only ones getting caught out, resulting in second place finish on corrected. The Race Committee then had the good sense to pull the plug on Race Three, a welcome decision onboard as everyone was frozen solid from the biting rain. 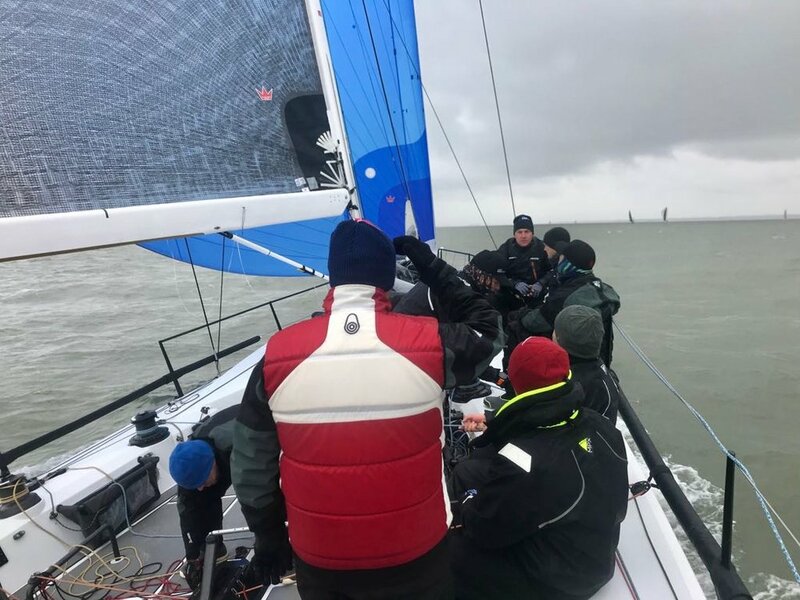 Race Day Two, again was in the central Solent, with an easy 6-12 knots of breeze, and although still a chilly day, nothing compared to the Arctic conditions of the day before. There was going to be a real fight to catch Jubilee, who had a fantastic first few races. Saturday had one of the strongest tides of the year, and as a result, there were plenty of general recalls and lots of near misses in the fleet. 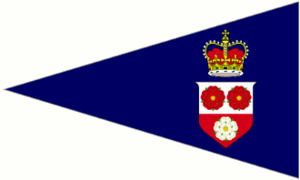 The committee decided to combine the starts of Class 0 and Class 1, which made for some interesting fleet action, with the tide sweeping everyone over the line. The day got off to a good start as we secured a tidy second place ahead of rivals Baraka GP, Jubilee was starting to look untouchable with another bullet for their collection. We were over the line in the second race of the day, which meant we were playing catch up for the whole race, and the lighter winds and short race didn’t give us enough opportunity to take any places back. There was a total of three windward/leeward races followed by a round-the-cans race, taking the fleet back towards Hamble, which finally gave the navigators in the fleet something to do, and it was indeed a tricky task in the softening breeze and fast-flowing tides. Come the end of racing we were lying in third overall, and still with a whole days’ racing scheduled for the Sunday, we had the opportunity to battle it out for second place with Baraka GP. We were able to have a very solid debrief back at the Events Centre in HYS, using some drone footage to analyse our starts and mark roundings. This generated valuable information that had the crew primed to implement the feedback. Sadly, it was not to be our weekend, as before we even had a chance to leave the dock the race committee had decided to abandon racing for the day. There was next to no wind at all in the Solent, and non-forecast. With the strong spring tides, there was no chance of getting a race away. All in all, a solid start to the season, and with most of the cobwebs blown away, there is plenty to build on for our next outing in the Spring Championships in a few weeks time. A big thank you (as ever) to the yard team at HYS, Waterline Media, and of course the race committee at RORC.